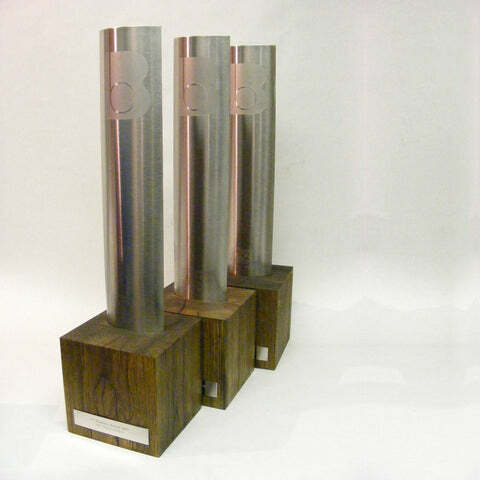 A bespoke commission for Bold in Business Awards. 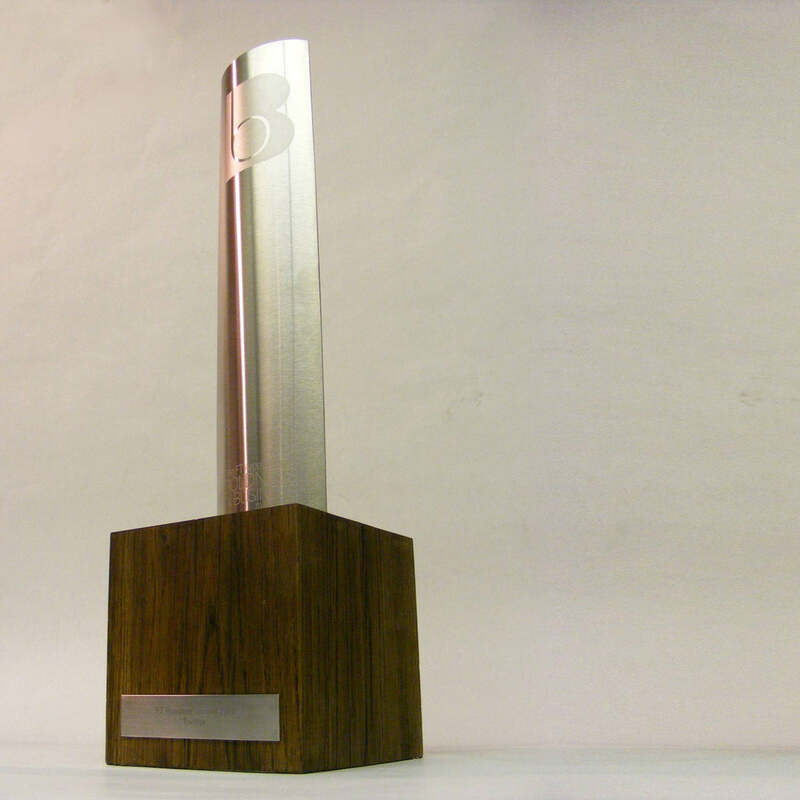 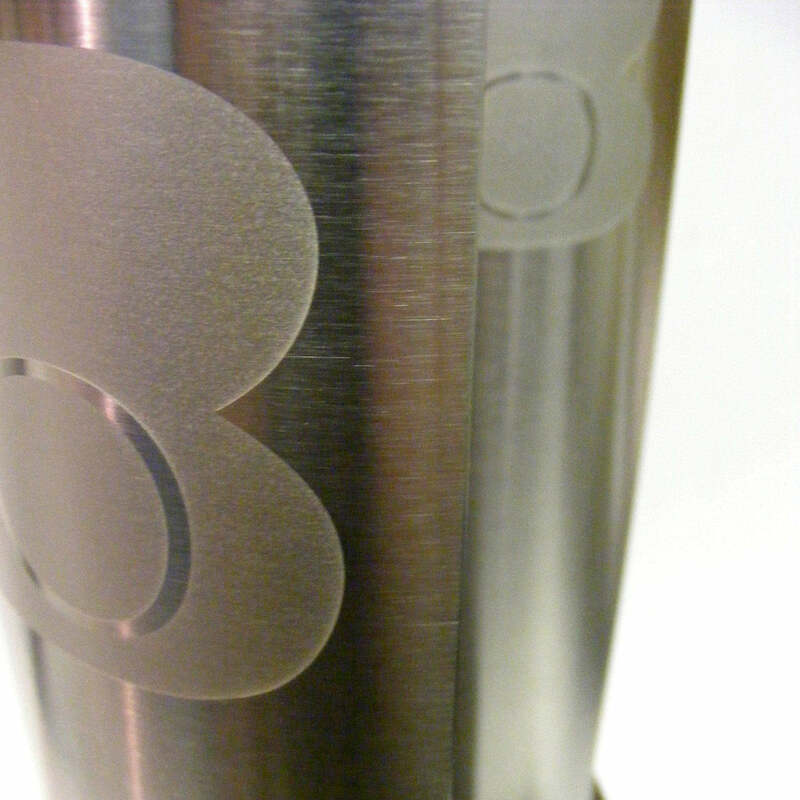 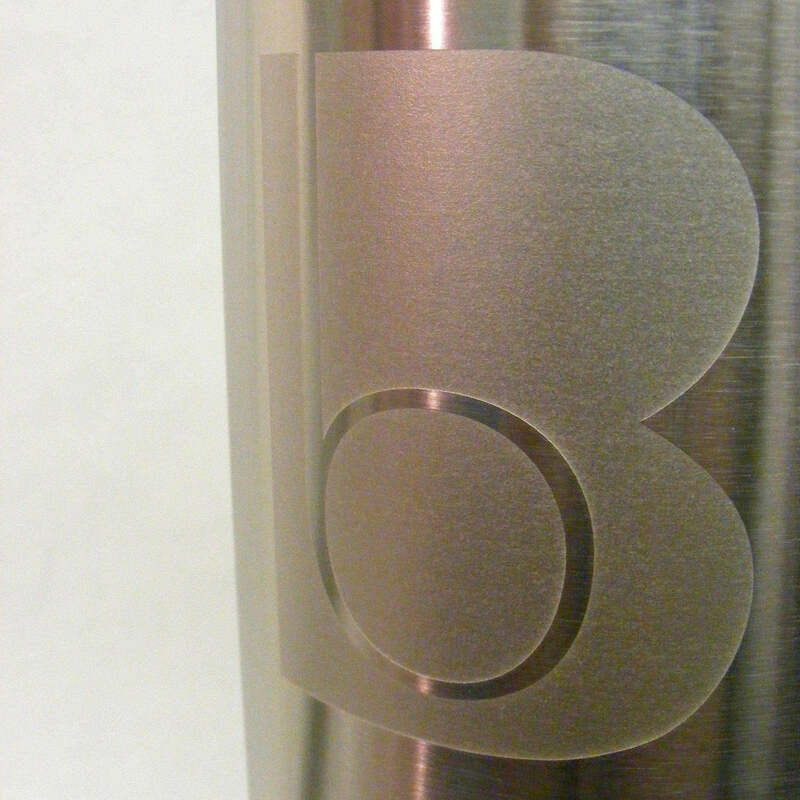 A curved, brushed steel rounded form is etched with the award graphic creating a contrast in tone. 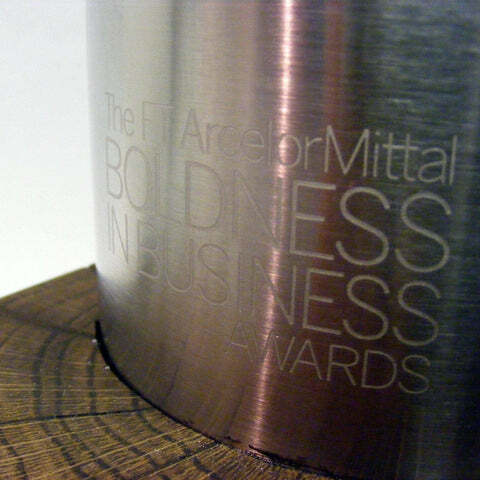 The final body of the award is mounted onto a wooden base from a sustainable source contrasting the two distinct materials.